Machine vision is a branch of engineering that uses computer vision in the process of manufacturing. First step in the process of machine vision is acquisition of an image, typically using cameras, lenses, and lighting that has been designed to provide the differentiation required by subsequent processing. Then after, various digital image processing techniques are employed by the machine vision software packages to allow the hardware to recognize what it is looking at. Thresholding, segmentation, blob extraction, pattern recognition, barcode reading, gauging, edge detection and template matching are some of the techniques used in Machine Vision. Machine vision is used in the manufacturing firms for the purpose of quality assurance and this system supervises every component in the process of operation and ensures that the quality of the product is up to the standard. Sorting is the process of arranging the items in some sequence and in different sets accordingly. Machine Vision is used in the manufacturing forms to sort out the products based on different criteria like batch number, weight, volume etc. Material handling is the process of movement, storage, control and protection of materials, goods and products throughout the process of manufacturing, distribution, consumption and disposal. 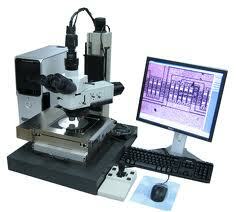 Machine vision is used by the manufacturing firms to effectively implement this process. Calibration is the process of comparison between measurements, machine vision is used in this process to look after the process. Manufacturing industry requires to handle lots of varied activities and use of machine vision makes it easy for the owners to perform the business. What Are The Features Of MS OCS?